Including Kita Kita, Camp Sawi, 100 Tula Para Kay Stella, and more! (SPOT.ph) You probably already have your usual go-to plans on a weekend night. You'd call up your friends and/or your S.O. to plan out your usual dinner-then-movie date and maybe negotiate how much you're willing to spend for a night out. (When's payday again?) But why would you stick with the usual when you could kick it up a notch and actually watch some of your fave indie movies outdoors—and for free? The first-ever Cine Circuit Indie Film Festival is just the place to be if you're looking for a chill night with your friends without burning a hole in your pocket (or asking them to pay for your ticket first). From May 11 to May 14, they'll be screening eight indie movies at the Circuit Makati Hippodromo and you don't have to pay a dime to catch them all. You just have to register at the venue and you can start watching all you can! (Just don't forget to bring a valid ID!) You can even bring your own picnic blankets so you can watch comfortably. There will also be banana beds for rent or you can buy them for P400. You'll have fun watching author Bob Ong's autobiography-turned-movie ABNKKBSNPLAko?! starring Jericho Rosales which will be screening on May 11 at 9 p.m.
Or maybe you and your friends can scare each other when supernatural horror flick Binhi starts playing on May 12 at 9 p.m. If you're with your significant other, you might enjoy watching rom-coms like Dan Villegas' Luck at First Sight starring Bela Padilla and Jericho Rosales—it's scheduled for May 12 at 4 p.m.
And what's an indie film lineup without the sleeper hit that is Sigrid Andrea Bernardo's Kita Kita top-billed by Alessandra de Rossi and Empoy Marquez? Catch it on May 12 at 7 p.m. They'll also be screening Kusina, a drama starring Judy Ann Santos that follows her character Juanita's life from the confines of her kitchen. It'll be screening on May 13 at 4 p.m.
As for those who want to maybe shed a tear or two while enjoying the chilly night, you might want to stay for Jason Paul Laxamana's 100 Tula Para Kay Stella that tells the story of a stuttering student who writes a hundred poems for a girl. 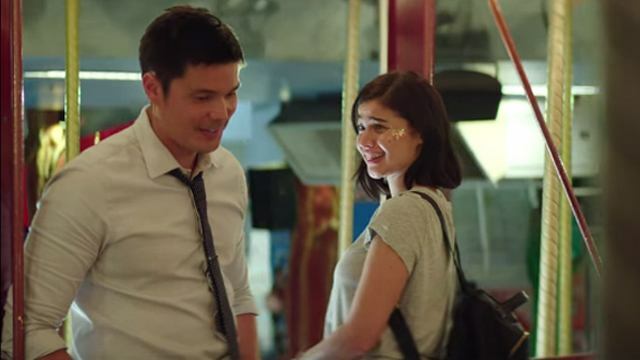 It's going to screen on May 11 at 6 p.m.
You might find yourself relating to all the hugot lines from Irene Villamor's tear-filled Camp Sawi, which is showing at 9 p.m. on May 13. 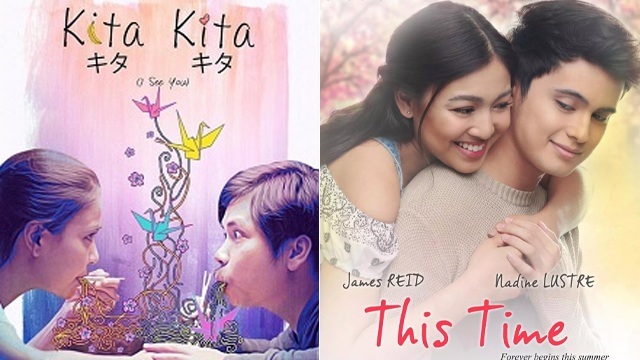 You might even like This Time, an underrated Nadine Lustre and James Reid drama that was loosely based on a novel called That One Summer by Aly Almario. The film sees them as two childhood friends who struggle with their complicated relationship when they enter college. It will be screening on May 13 at 7 p.m. When you find yourself looking for something to munch on during your movie marathon, just head over to the nearby Circuit Lane to get your fill from over 20 food booths and restaurants. Just make sure to clean as you go! Circuit Makati Indie Film Festival at the Circuit Makati Hippodromo runs from May 11 to May 13. For more information, log on to Circuit Makati's Facebook page.